Egyptian President Abdel Fattah al-Sisi meets with Sudan's President Omar Hassan al-Bashir at the Ittihadiya presidential palace in Cairo, Egypt, Jan. 27, 2019. in this handout picture courtesy of the Egyptian Presidency. 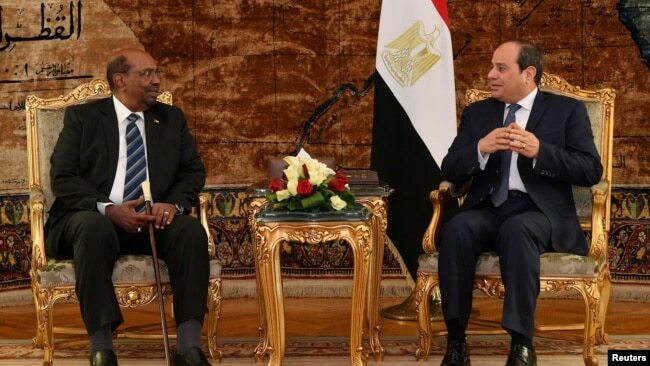 As protests against Sudanese President Omar al-Bashir continue, the embattled leader has made visits to Qatar and Egypt in what analysts say is an effort to get diplomatic support to bolster his government. FILE - Sudanese demonstrators march during anti-government protests in Khartoum, Sudan, Jan. 24, 2019. 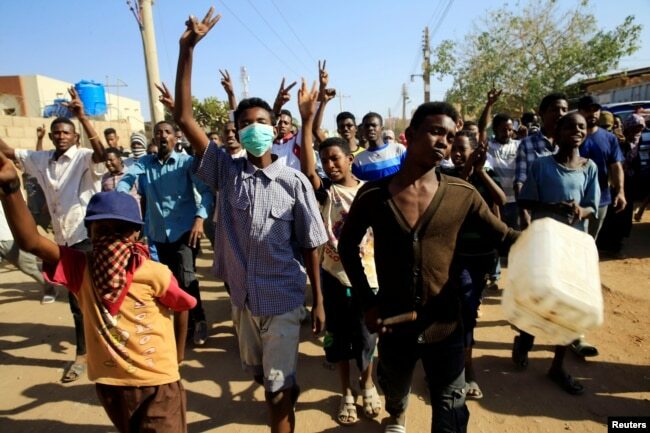 Human rights organizations have accused Bashir's security forces of killing and injuring protesters. Amnesty International says at least 40 people have been killed since the protests began. Government figures put the death toll at 29. “We can imagine the magnitude and the scale of the human right violations at the moment in Sudan," he said. "Our expectation is this will continue because of the government of Sudan they are not willing to give any concession to the protesters or provide any kind of political draws or to resolve this conflict as government."